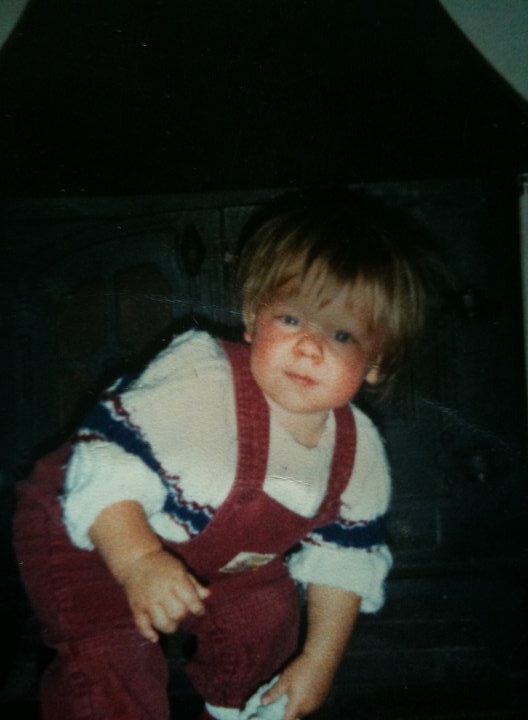 This is me in the 80’s, I was born towards the end of the decade so I missed out on the majority of the awesomeness although I do like to think I rocked some pretty impressive fashion during that time, take this pair of dungarees for example. Snazzy huh? Anyway, less about me and more about the perfume! I have compiled a list of my top 5 80’s fragrances (shown below in order of release), a greatest hits if you like. The 5 that I’ve chosen, despite sharing nucleur longevity and sillage, are all very different and each showcase a different interpretation of the 80’s style of fragrances. Ahh Paris, the capital of fashion, the most romantic city in the world – how do you encapsulate the scent of Paris in a fragrance? You employ Sophia Grojsman to do it, that’s how. I think it’s safe to say that Sophia Grojsman (she also did Calyx, Eternity and Beautiful etc) was the Queen of fragrances during the 80’s and in my opinion Paris is Grojsman at her absolute best. Paris is all about bright pink roses and creamy violets. The rose is BIG, sour, almost wine like and the violets are soft and powdery. It’s a stunning scent and although it smells more than a little bit dated I get a kick out of wearing it, it shouldn’t fit but it does. Coco takes the heavy oriental spice and amber of fragrances like Opium and Cinnabar but lightens it with mandarin, jasmine and orange blossom. Coco is exceptionally well blended and it screams ‘Chanel’, the base is warm with rose, leather and sandalwood. I’ve always thought Coco is quite remarkable because it seems like two different fragrances, smelling it close up and smelling the sillage are two different experiences. Given the choice of Coco, Opium or Cinnabar I would choose Coco every time. No-no-no-torious! Poison was the bad girl of the 80’s, the vamp if you like. She would stay out all night and sleep all day. If Poison were a song she would be Robert Palmer’s Addicted to Love. Poison is a scandalous blend of syrupy fruit and huge white florals (tuberose, ylang ylang and jasmine), the base is chock full of incense, amber and musk. She smells of sour grapes, flowers and honeyed incense. Poison is loud, proud and bombastic, she is a force to be reckoned with, a tour de force. Beautiful has a special place in my heart because my mother always used to wear it, I hadn’t smelled it for a very long time (Mum stopped wearing it) until very recently. Smelling it for the first time since I was a child was a truly lovely experience, I bought a bottle almost immediately. Beautiful opens with dewy orchard fruit, sweet, dewy and crisp, accompanied by bright, sparkly aldehydes. There are flowers, but like a lot of Lauder scents the impression is of a sweet floral bouquet, not individual floral notes. Beautiful is billed as a floral but it feels like a chypre, the base is mossy and dark and it perfectly balances out the sweetness of the bouquet. Compared to a lot of 80’s fragrances Beautiful seems less than OTT but it certainly can fill a room and I think it’s the best and most well-made of all of the 80’s fragrances. Samsara came pretty late in the game and was Guerlain’s attempt at tapping into the 80’s trend of larger than life orientals. It’s a warm, exotic blend of heady jasmine and creamy sandalwood. Samsara was very much a break from tradition for Guerlain, She is an odd bird with unusual nuances of coconut, almond and even burned rubber but she is most definitely a Guerlain, just with the volume turned right up. I’ve never had the privilege of trying vintage Samsara but the buzz is that the new stuff doesn’t even come close. I’d love to hear your thoughts about 80’s perfumes or just the 80’s in general, what were your memories of the decade? Do you like 80’s fragrances? Do you agree with the five that I have chosen? 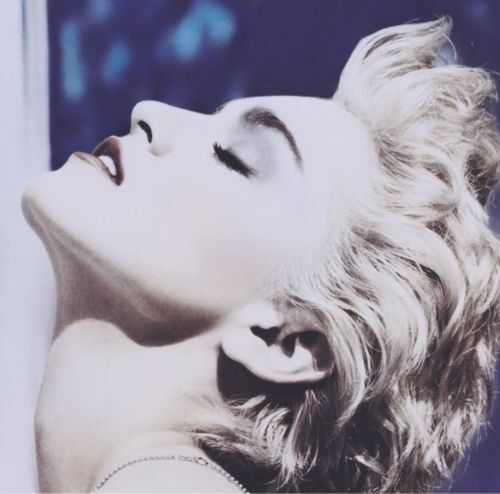 Posted in Aldehydic, Article, Chanel, Christian Dior, Chypre, Estée Lauder, Feminine, Floral, Guerlain, Oriental, Perfume Reviews, Yves Saint Laurent and tagged 1980's, 80's, Beautiful, Chanel, Christian Dior, Coco, Estee Lauder, Guerlain, Madonna, Paris, Poison, Samsara, Yves Saint Laurent. Bookmark the permalink. The Evil Scent Twin is back!!! The eighties and I do not see eye to eye perfumewise. There are some great ones, like those you listed, that I can appreciate, but would never wear. The Evil Scent Twindom has been restored! What fragrances did you wear in the 80’s? Watch it, young man! I am not that old!!! Secretly smelling your Grandmother’s Diorissimo? Even as a kid you were a class act! I was surprised to find that Montaigne by Caron wasn’t an 80s fragrance, because it sure smells like it is! My favourite of all the 80s scents is Coco. My mum still wears it. Montaigne isn’t an 80’s scent?! WTF – that stuff is pure 80’s! Coco is gorgeous and your mother has fine taste! I kept telling Nigel that the title for this post was a stroke of genius and he kept staring at me blankly so it’s good to hear that it’s appreciated. I wore the old Chloe in the early 80’s and Obsession, obsessively, in the late 80’s. Nothing subtle about me. Oh my! Now that’s what I’m talkin about!! Perfume with shoulder pads!! I want REAL perfume that wafts when I pass you! I didn’t start wearing this until the 90’s…….because a man asked me to wear it…but he’s looooooong gone. NOT the perfume however. MY personal “PERFUME WITH SHOULDER PADS” is OPIUM!! I wear Opium Fleur de Shanghai most of the time which is a little lighter…..but I can not resist putting a little spritz of the real parfum or the original edt on also! OPIUM will always be MINE!! Gloria Opium is most definitely a perfume with shoulder pads, it sounds like you are a massive fan. I own a bottle but I don’t often wear it, it’s Carnation overload for me. I’ve always wanted to try the old Chloe, I’ve seen bottles in the local TK Maxx for a steal so I’m going to have to bite the bullet. There is nothing subtle about Obsession at all, very good choice! I was a bit older than you in the eighties. Suffice to say that the first bottle I ever bought myself was launched in the 80’s, Benetton Colors (the vintage black bottle, not the weak stuff in the blue bottle that you can buy now). I love those fragrances. Anteus, Essenzia Loewe, Krizia Moods, Fendi Uomo, most of the Maitre Perfumeur et Gantier line, Jil Sander Feeling Man and vintage Pure, Egoiste (technically it was launched in the 90’s but its original launch, as Bois Noir, was in the 80’s), Aramis New West (an icon of the American revolution in mass market man fragrances), Obsession Men, the totally avant garde even in today’s terms Annick Goutal Vetiver and Sables, Van Gils. Most of them I discovered much later but I now have them in my wardrobe and I wear them often, admittedly more often during winter. It sounds like you had a pretty impressive repertoire of scents in the 1980’s. The masculine’s of the 80’s are very much missing from the original post, mainly because I haven’t had a lot of exposure to them. It’s good to see what you wore. Antaeus and Egoiste are ones I’d like to look into more. I still wear them you know! The only ones that I actually discovered and wore back in the 80’s and being in my 20’s were Bennetton Colors and Jil Sander Feeling Man and vintage Pure. All the others I brought back from my time travels. It just shows that, although we may call them dated, a good handful of these fragrances have stood the test of time. I played this game on my blog a couple of months ago and came up with the answer that there were not that many perfumes that I liked, owned and wanted to wear from that time period. As far as I can remember, I wasn’t wearing any perfumes myself in that decade but my dolls enjoyed some of the finest parfums from Dior (taken from my mom’s dresser, without her approval, of course). Your dolls must have smelled pretty damn fabulous! The one fragrance from the 80’s that I want to smell more than any other is Amouage Gold, I have tried the mens (love it but absolutely could not wear it), I figure that Gold Woman would suit me fine! Don’t forget Turbulences by Revillon and Ivoire de Balmain, there were some great green florals from that era! I still love and wear both of these. I haven’t tried Turbulences or Ivoire but a lot of the ladies on the Facebook Fragrance Friends page have mentioned them as well as you. I shall have to give them a try. I was rocking nothing but diapers in the ’80s ( like you, born right at the end ), so I can’t say I remember any era-specific perfume. However, the ’80s produced some of my favorite perfumes: Poison and Patou Pour Homme stand out especially, but Kouros deserves a mention too. I understand times change, but I am sorry some things about the bigger-is-better era of perfume faded away. Thanks for stopping by Sugandaraja! Kouros is a fragrance that I keep coming back to, after the initial repulsion to a growing respect. I don’t know i I’d ever be able to wear it, it’s too manly for me. Poison, especially in ‘Esprit de Parfum’ is just wonderful. I was a teen in the late 80s and I had an older sister and mother who both love perfume, so I always smelled as big as my hair back then! At 12, my favorite perfume was Dior Poison. I obtained samples from a perfume counter, and treasured them. A little dab was enough to fill the room! I still love it, and thanks to you, have some to sniff! My sister wore Paris too, but in the early 90’s. It smelled so good on her! She carried big perfumes well, and she wore the shoulder pads to go with them! I think your choices are perfect! It sounds like you had early exposure to some excellent perfumes, your sister and mother (and you too of course) have excellent taste. How was Oscar? I’ve heard a lot about it, I liked the new Esprit d’Oscar and would be interested in hearing your take on the original. Viva big hair, big fumes and shoulder pads! I don’t remember Oscar at all BUT a lovely friend sent me a sample of vintage Oscar. Just sniffing it in the vial – smells bloody good! I’ll keep you posted. BTW You look adorable in your dungarees and oversize sweater – you were quite the hip kiddie! I, too, was a child in the 80s but I always loved smelling (what I now know was) Coco on glamorous ladies. I think it’s technically late ’70s, but Magie Noire will always remind me of my grandmother in the 80s. She was incredibly sophisticated and chic. She would always ‘dress for dinner’ even if it was just pasta at home with the family. Your grandma sounds incredibly glam! Laura Ashley was one of my favorites. Such a beautiful fragrance in an absolutely gorgeous bottle. I wish I could find it again. It was one of the most lovely floral fragrances I have ever owned. I never got to try it but I’ve heard such good things about it. Is it hard to get hold of now? And how could I forget Deneuve. I loved that fragrance. I wish both Laura Ashley and Deneuve would go back into production. I looooooove that I’m not the only guy who wears womens perfume but…80’s perfume! I’m 28 and LOVE all things 80’s (Yes, even the fashion and hair, I personally love it all). My fave is “Beautiful” and everyone stops me to say I smell nice and asks what it is I’m wearing. I never say what it is though…”Oh it’s most likely my hair spray” he he he (I don’t want anyone smelling like me 😀 ). I also love love love “anais anais” (Although it came out around 1978…by 1984 it was a very popluar perfume and still known as an 80’s fave). And I do love “Vanderbilt” too. I bought my mother “Poison” for Christmas this year and she’s going to be so surprised! (Will also be the first time I get to smell the most dangerous of all perfumes…can’t wait). People do say that over the years each perfume has changed in some form of way so I do wish I was a teen in the 80’s to have been able to smell the originals as they were first made! Oh yes me to! Being a teen in the 80s would have been wonderful. I’ve gone perfume crazy this week and gone online to buy some 80’s perfumes i’m yet to smell but want them for my collection AKA “Giorgio-Beverly hills”, “Loulou”, “Exclamation”, “Alfred sung-Sung” and “Rive Gauche-YSL”…very excited to get them even if they don’t smell so good LOL…but they’ll go with my 80’s posters of Madonna, Cyndi, Molly ringwald and so on, he he! I’d love to have been 14/15 in say, about 1981 to fully live the whole 80’s…don’t know how being openly gay would have been back then but something tells me it would have been easier than the 90’s! Hehe, you are going to smell positively bombastic when they arrive! OH MY GOOOOOOOOOOOOOOOOOOOOD I just smelled Loulou in the store and fell in LOVE! It’s nowhere near what I thought it would be. Thought it would be a big, strong, overpowering, 80’s fly spray smelling type LMAO….but it’s SO GOOD! I’m so happy I bought it! I’ll let you know when my whole collection is here :-D….where are you 80’s? Come back to us! I was surprised at how cheap it was and a woman commented on how nice I smelled and when I told her it was Lou lou (Usually I don’t tell) she was surprised because “It’s so cheap, I thought it would smell horrible”! I told her the cheap ones that used to be very popular are always the best! I was very happy to find out that YSL-Paris is so beautiful! I even had a GUY tell me I smelled good when I had it on! I bought the new edition of “Giorgio-Beverly hills” which is meant to be softer! EVERYONE has commented on that (The scent is actually very uni-sexed) but the bad news is, it only lasts about 30 mins and then the smell is gone (It’s only left on your clothing but not your skin). The other good news is it reminds you of just how nice the original actually is after smelling the new edition! I was not a big fan of “Exclamation”, it smells like coconut, which is ok but Coconut and vanilla is something I don’t like to smell like because it’s so boring, everyone smells like that! So I’ll just give that a spray next time I’m dancing in my room to 80’s music LOL. I had not used “Vanderbilt” for a while but it was on special for only $9 and wanted to add it to my collection. Surprised me at just how GOOD that one actually is! That one, I’m the most surprised at. I remember I always liked it and have bought it before but it’s been a couple of years…was good to get a re-freshment! It’s a perfume I would buy other people too just to see them think “What the f**K” but then hear them say “Oh, that’s really nice” LOL. Thank you for your most wonderful review of 80s pongs! As a seemingly elderly gent compared to some of you youngsters I have to confess that this was indeed my era, and boy did I have a ball! My lady friends at the time were very partial to Poison and whilst it did endow them with a certain wickedness, t’was nothing compared to the delicious evils of Gloria Opium! For myself – I wore Obsession, and that cute little number Kouros! Great to have the decade brought back to me. Rave on! It sounds like you were pretty fab in the 80s! Why thank you! How kind! I was actually a little shy, but we I had fun! I still wear most of them, but adore Coco and Samsara. The next decade’s weak and watery favorites were not popular with me, and I stayed with the ones I love, including Opium. Fracas is a summer favorite. I was wearing it when Princess Diana was killed, so it has a special place in my heart. Coco, tho I didn’t discover her until the 90s, but she lives on, on my perfume tray, and to me, can also smack you down if you over use her. I know there were probably others, but these old gals still stand out tall, tho some them may have lost their 80s momentum, but will always reign supreme to me. That is quite the repertoire! I love perfumes from the 80’s ( Opium, Kourus, Rochas, Aramis, Drakkar and of course Poison. I used to wear Drakkar when I was in my teens ( I’m female btw ) God the longevity was like 20 hours without shower of course. And silage was really strong. I never wore Opium and Rochas when I was small however I used to sniff them everytime I would go to my Mother’s vanity table. Kourus and Aramis were my Father’s favourites. Poison was my scent when I was 15. Now that I am older, there are times when I feel nostalgic and missing my youth and what a great way to reminisce about the good old days is by smelling old scents so I got myself an Opium and a Poison. They still smell incredibly very good but silage and longevity are definitely not the same as in the 80’s which is absolutely disappointing. They are very pricey yet they aren’t so strong and long lasting anymore. I wish they would reformulate them back to how they were made back in the 80’s. It’s a mystery to me why all the changes were made…Why ruin something so beautiful and loved by so many…Vol de Nuit is no longer itself, except for the “original” that now sells in a golden bottle for about $500…Changes are inevitable, but some are absolutely wrong!